Children’s of Alabama in Birmingham has implemented the Versus Advantages asset tracking solution, where it is currently tracking approximately 3,000 mobile assets, including IV pumps, beds and stretchers across 760,000 square feet. The real-time locating system (RTLS) from Versus Technology Inc. includes two-way HL7 integration to Four Rivers Total Maintenance System (TMS), which helps Children’s of Alabama manage its equipment fleet by associating key equipment status data – preventative maintenance, warranties and recall notifications – while Versus provides the equipment’s current location. The Versus RTLS solution enables the hospital to reduce shrinkage due to lost or stolen items, locate and manage utilization of critical medical equipment for patient safety, improve response times for patient care needs, and improve overall patient satisfaction. With the Versus system, hospitals can also track and automate patient flow, locate nurses, physicians and other staff, as well as monitor hand hygiene compliance. 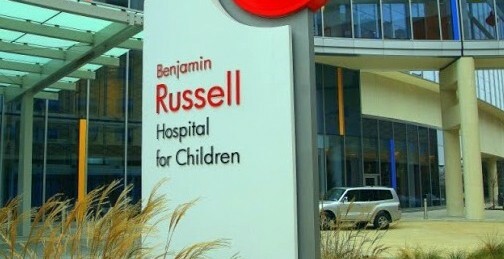 The system is currently installed throughout the new Benjamin Russell Hospital for Children, and will be expanded across the remaining six inpatient units making up the Children’s of Alabama’s main campus. Versus Technology, Inc. will demonstrate its asset tracking and other uses for RTLS in the clinical environment at the upcoming HIMSS13 Annual Conference & Exhibition, which takes place in New Orleans, La., March 3 – 7, 2013.